What Future for Gun Control? I keep looking at our opponents, and I see the same ideas turned around and around again on the turntable like a skipping old 78. Calling for “common sense,” calling for “sensible legislation,” to an audience, like that of some washed up rock star that continues to tour, that increasingly just isn’t there, or isn’t listening. Our opponents are beyond arguing for action, and they don’t even realize it. The philosophical basis for their movement was largely based on the possibility of achieving prohibition, and with prohibition off the table, rather than rebuild their movement around different philosophical assumptions, they keep pushing the same old in the hopes that a some point, maybe someday, the fans will come back and the seats will be filled. Even MAIG, which is certainly ripe with novel tactics, and new ideas, is still no more than a second rate cover band. The reason they have not rethought their movement is that any new assumptions will be deeply dissatisfying to those who support the gun control agenda. I think being hemmed in by Brady’s post Heller contradictions is driving poor Joan Peterson nuts, because it represents the best they can do, not what she’d ideally like to advocate. I can’t believe she’s an atypical supporter either, because I’ve run into a lot of Joan Peterson’s out there. But how many will keep with the issue in the face of the ever evolving reality working against their viewpoint? Prohibition, or a near prohibition, was a necessary goal for their movement, and it’s necessary because of the nature of gun control. Gun control only affects criminals at the margins. In a regulatory regime where law abiding people are relatively free to purchase firearms, criminals are going to fairly easily obtain them. I think that’s a fundamental truth against which the gun control proponents have no valid argument. A background check, a form, or rationing is only going to stop an idiot or someone who’s really not determined. Given that there are undetermined idiots out there who want to commit crimes, I have no doubt background checks have stopped some potential crimes, but because this happens at the margin, it doesn’t show up in overall violent crime statistics, and doesn’t really do a whole lot to make society safer. The only way you can expand the margins is to make guns harder to get for law abiding people, and as we’ve pointed out repeatedly, even total prohibition isn’t going to stop smart, determined criminals. It’s certainly not going to stop gangs and drug dealers who are responsible for most of the violent crime in this country, and who already traffic in contraband. But one could argue with credibility that prohibition would make it harder for certain classes of potential criminals, who don’t have black market connections, to get guns. One could counter that it would also make it much harder for ordinary people to get guns and defend themselves from the criminals, and there will be many, who will still get them anyway. But my point is that when prohibition is the philosophical root, there’s a lot more room to speculate, posture, and debate. It may be an unachievable, Utopian idea, but it’s an idea that’s deeply satisfying to those who blame the gun for societies ills. I would posit that without prohibition, the gun control movement is nothing. The ironic thing is, from my readings, a lot of the the old school members of the movement to ban handguns understood this. Everything to them was an incremental step designed to break the back of the gun culture in this country so they could get to their eventual goal. The post Heller movement has, on their face, accepted the implications of a real Second Amendment right, but in their souls I don’t believe they have. So they are stuck arguing pointless measures that have no prayer of doing a damned thing to stop people who want to commit crimes from getting guns. Their predecessors understood this stuff to be pointless, if it wasn’t getting them farther to the goal. The remaining gun control supporters cling bitterly to the remnant scraps of what once was. How long before the gig is up, and even the die hards realize it? How long did it take for the remnants of the pro-slavery movement to fade away into irrelevance? It took essentially 100 years. From the end of the Civil War until the enactment and enforcement of the civil rights act of 1964. I see this battle being eerily similar. Even after being defeated they continue to find ways to harrass and infringe upon guaranteed civil rights. The registration, licensing, background checks, the waiting periods are the analogs of the Jim Crow laws. They accomplish nothing except make life miserable for those trying to exercise their rights. Perhaps our much better communication will speed the process up but at best I see it lasting at least one complete generation if not two. Well, after this post and Joe’s comment, I hope that what I have can in some simple way be perceptive, too, so here goes. I think that the urge to control which is central to totalitarian personalities from time imemorial (and is expressed in the past 140 years as Leftism and now the Democrat party) will find some new expression and specious argument for slavery being better for the masses, so our children will still have to be vigilant. Alan Gura is using an incremental approach to set judicial precedents in place, leading to a judicial revolution in self defense rights and gun rights. The anti-rights side has zero ability to stop him. None. I’ve heard it said that science moves forward not when obstinate devotees of discredited theories grasp that they’re wrong, but when they die off. I strongly suspect the die hard gun control pushers will keep shouting “but I’m right, dammit” to a small audience of similarly obsessive allies, basically as long as they’re physically able to work keyboards. A lot of the core of the gun control movement–the fundraising base–was people who grew up in the 1960s, and lost the Kennedys and Martin Luther King, Jr. There is a somewhat smaller crowd for whom the death of John Lennon was the issue. These were all nationally famous people whose deaths struck a deep chord in large numbers of admirers. Most more recent gun control activists are associated with a single disaster, such as Columbine, 101 California Street, or the Long Island Railroad mass murder. These tragedies, as bad as they are, only really hit the emotions of dozens to perhaps hundreds of people–the next of kin of the victims. No mass murder, unless it involves someone nationally famous, is going to motivate a big fraction of a generation. The flower power generation is dying, retiring, or losing the money that they used to use to fund gun control. And maybe, some of them are learning that it was impossible to make happen. This fight will never end. I am afraid that assuming we will always have the advantage in it is a mistake as well. Public opinion could change back to their side eventually. Well, just look at the “war on drugs” for an example or maybe prohibation. Both of these ‘wars’ only increased the number of drugs and booze on the street. If the people in power wanting gun prohibation fail to remember this just look at Clintons two terms or obammys one term to see how many guns that can get on the street in a hurry. I think the fight will never end, just as there are people like Obama who see taxation as a “fairness” issue, when there is no or little fairness at all in government taking more from anyone on any basis beyond doing the most basic things it is responsible for. There will always be moral scolds, utopians and stupid, lazy or venal people who support them to avoid realities or taking personal charge of their lives. Some people really just don’t want to do anything but consume. Parasites, usually envious of those who aren’t. With the Tea Party movement, though, a lot of people who were content with getting on with life, paying their taxes and letting the political class do the right things have woken to the failure of that deal. This engagement cannot but lead to more people understanding they are their first line of defense. That will help harden the opposition to gun-control except in loony bins like CA. I don’t think it’s going to take anything like the century that it took to discredit the racists to discredit the anti-freedom hoplophobes; because of the huge increase of speed and volume of communication, and the anti-freedom idea doesn’t have the multigenerational societal baggage that segregation did; it’s been about a century since the oldest serious efforts at gun control started, and for the past 15 years, the anti-freedom side has lost every serious battle over firearms freedom. (If you wish to do so, I suppose you could count NJ’s one-gun a month act as a loss for the pro-freedom forces, but it wasn’t seriously contested, and given the reality of NJ law at the time, it was barely an incremental infringement). I expect another decade in which there will be a serious anti-freedom movement before they become marginalized politically. This could be set back by another high-profile assassination, but recall that the assassination attempt on Ronald Reagan produced … the 1986 ban on new MGs for civilians , and that by stealth; while at the same time we got the rest of FOPA ’86. Ummm, no, there were calls to reform the GCA of 1968 immediately after its passage. Hughes was a mob ally and did it to create a black market for machine guns that the Mafia deals in. Shootin Boddy is correct. FOPA was actually meant to be a much broader weakening of GCA ’68. It just took until 1986 to get even a weaker version passed. Wrong about Hughes though. I was thinking Biaggi. Mario Biaggi was known mostly for trying to ban so-called “cop-killer” ammo. My point being that we didn’t get a broad restriction, only a weakened loosening, with a very minor additional restriction that (probably) was fraudulently passed as an amendment. We didn’t get GCA ’86 (or even GCA ’82) after Hinkley shot Brady; despite lobbying from the group that eventually used his name. I wasn’t paying enough attention in 1994, can anyone tell what (if any) proximate causes of the AWB were? Jersey got their in 1992, and it’s been unclear to me why as well. 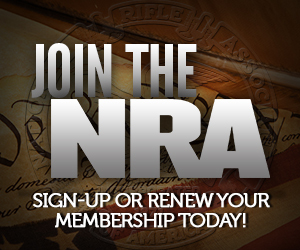 Calls for reform of NFA’34 and GCA ’68 are one thing, legislative action is another. I’m sure the “repeal the 18th amendment” movement started in 1919, but we had Prohibition until 1933. So far gun control has lasted longer than Prohibition did, but less than Segregation. Correct. He was also well-known for being in the BoP for Extortion. I’m a little disappointed in your essay, Sebastian. I think maybe you’re the one getting tired of repeating yourself. You said prohibition was the goal of the gun control movement. That’s wrong. The goal is exactly what they say it is to reduce gun violence. Only your paranoia and grandiosity sees prohibition behind every tree and rock. Your statement that even total prohibition would not stop smart determined criminals, is a real hoot.What percentage of criminal gun users is smart and determined? Wouldn’t it be a great success if we only stopped the stupid, drug-addled ones? I suppose by lambasting the gun control folks for being repetitive you’re just reacting to the frustration of not having everyone agree with you. … I’ve got four in a row. Hey, Mike: now imply that we’re sheltering “potential criminals”, so I can win the toaster! By focusing on “Gun Crime”, you lose sight of the bigger picture -reducing violent crime. The flip side of the Myth of Man The Killer is that there are Killers out there; human-shaped monsters who prey on humans. Wow, there is some heavy weight mental reasoning there from Mikeb302000. Wouldn’t it be a great success if we only stopped the stupid, drug-addled ones? He would be happy to stop the “stupid, drug-addled ones” from using firearms to commit their crimes without ever addressing the fact they would still commit violence to get what they want. Yep, there you go — MikeB302000 friend of the criminal. mikeb302000, and prohibition worked so well with alcohol, didn’t it? Banning guns won’t reduce gun violence. Criminals can get guns and they will get guns. They don’t even need to smart for that. It’s simple. I can get a full-auto AK47 in the Netherlands without problems. Cost? About 300 Euros. Why? Because criminals smuggle them. The UK, according to some stats, is the country with most violent crime in the world, despite the very strict anti-gun laws. In Germany, which also has very strict laws, every 4 minutes a woman is assaulted these days. 4% of all the violent crimes in Austria in 2001 were done with legal guns. More people were murdered with knives and other random objects. So, when are we going to ban knives? There are plenty of self defense cases in Austria where people use guns. Happens several times every year. Feudal Japan was extremely well armed, yet public fights were the exception not the norm. In fact, due to the ~2 million men constantly under arms (not counting all the secret weapons that lurked around, and not counting the ashigaru and samurai women, who were all armed as well) Japan in the Edo period brought forth a very polite society where arts, music, etc, bloomed. And remember one thing. If I want to kill, I don’t need a gun. I could kill 10-20 people in the subway when I go to work without a gun. The subway will likely be packed, all I need is a knife. All I need is start stabbing. Happened not long ago in Tokyo. A madman went on a stabbing spree in Akihabara. There were two cops not far away. The attacker moved so fast that like a dozen people were already down, injured, some dead, before the cops could even move in. If someone wants to kill, he WILL kill. Gun or not. He will find a way to cause as much damage as possible. Seen in the Netherlands just a few months ago. And please no “it would have been worse with a gun!” nonsense. Tell that to the relatives of the people who were murdered. I’m sure they’ll show great understanding… not. You said prohibition was the goal of the gun control movement. That’s wrong. Who cares what the goal of the gun control movement is? At this point they are irrelevant. Who is Nelson Shields you ask? He was a co-founder of Handgun Contron Inc. They later became known as The Brady Center to Prevent Gun Violence. You see how much better that sounds? They work on the big lie propaganda game. If you tell the same lie enough times, some will believe it. Stop lying Mike B.